“Right!” Jalil said pointing out his driver’s side window, “and that’s his kasbah, but he’s not there now; he’s rented the place to Tom Cruise.” A kasbah is sort of a castle, I guess. Branson wasn’t home, nor was his guest Tom Cruise. Tom Cruise? Who’s he? “Yeah, Cruise is here making another ‘Mission Impossible’ movie. A lot of movies get made here in Morocco,” Jalil explained. Then he carefully started up the car, crossed over the center line, and, once again, we headed for Imlil. As we drove down the road, I thought, “Hey, wait a minute. 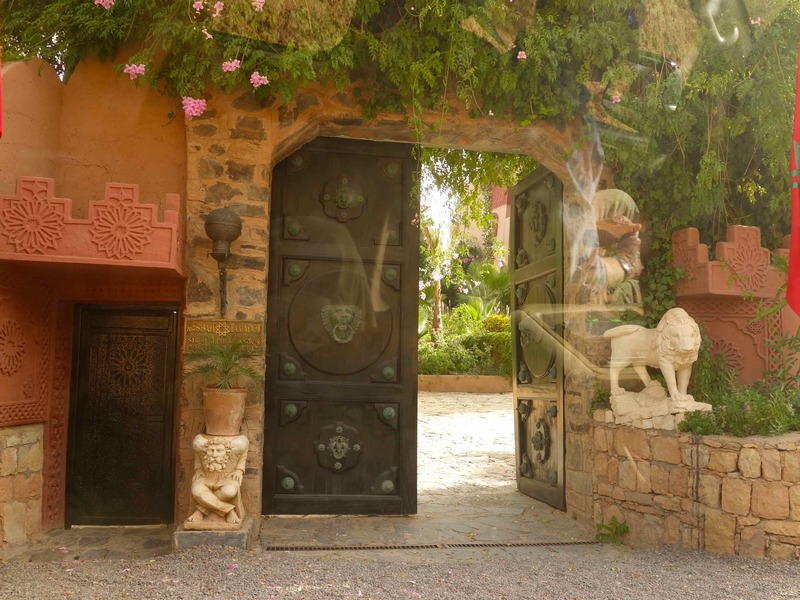 Let’s go inside Branson’s kasbah and meet Tom Cruise,” but I didn’t say anything. Jalil must have read my mind, though, “Yeah, we’d stop in to say hello to Tom, but he’s not there today; he’s out shooting on location somewhere,” and he laughed. So did everyone else, but me. What’s so funny? Anyway, it just shows what a great driver Jalil is. He really knows Morocco: he knows who lives here, who visits here, and what to see. 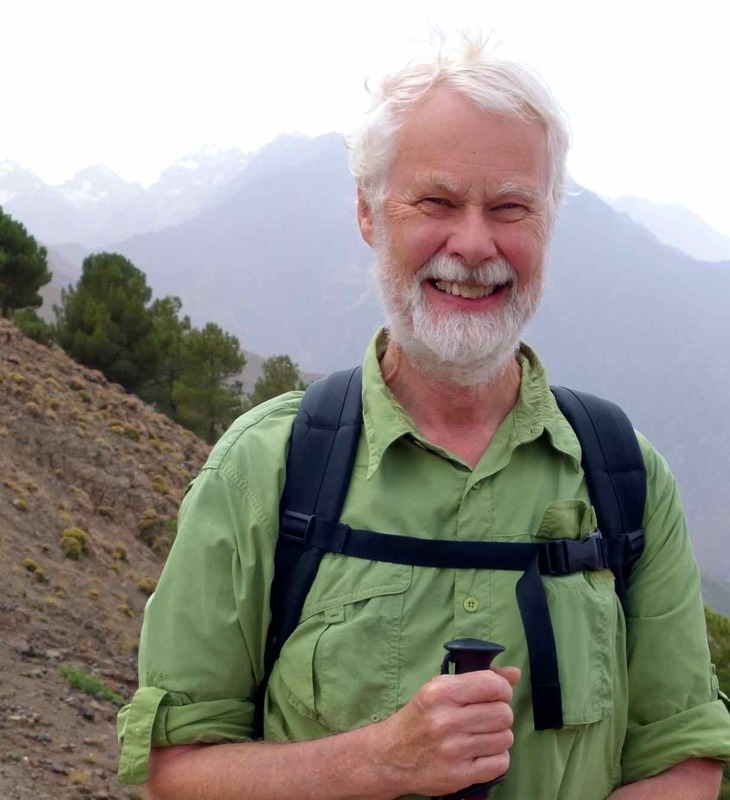 John, Angela, Nona, and Papa were taking me up to the High Atlas mountains of Morocco for a few days of hiking. 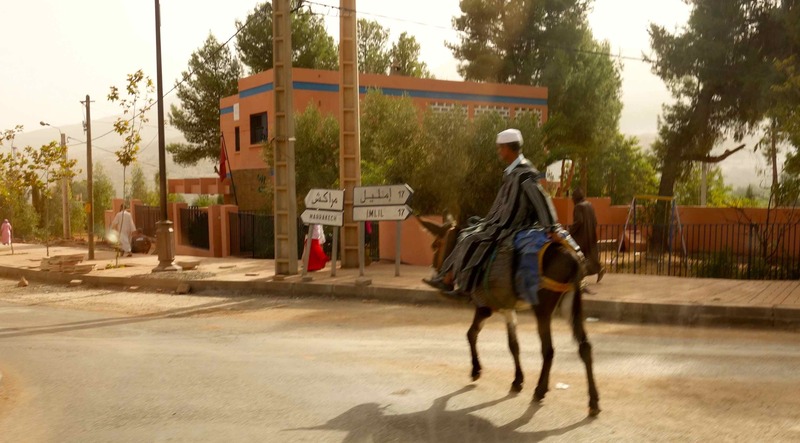 Not long after we passed the Branson kasbah, Jalil said, “Now, we have entered Berber country. All the villages from here and up into the mountains will be Berber. We saw many mules carrying people & freight. I was just about to ask Nona what’s a Berber, when Jalil read my mind again. How does he do that! “Most people don’t know that Berber actually means Barbarian. Do you know any famous Berbers?” he asked. Silence. “How about Hannibal for starters,” he answered his own question. Nona and Papa had been home-schooling me about vocabulary. I had heard something about the word “barbarians.” Heathen, brute, ruffian, wild man or wild woman, thug. All these came to mind. Everyone, except Jalil laughed. He understood how scared I was, and he calmed me down by telling me what I didn’t know. “Solbit, the Berber people didn’t call themselves barbarians. They had their own name for themselves, Amazigh, and they are really very friendly and nice people. You’ll love them, and they will love you,” he explained. 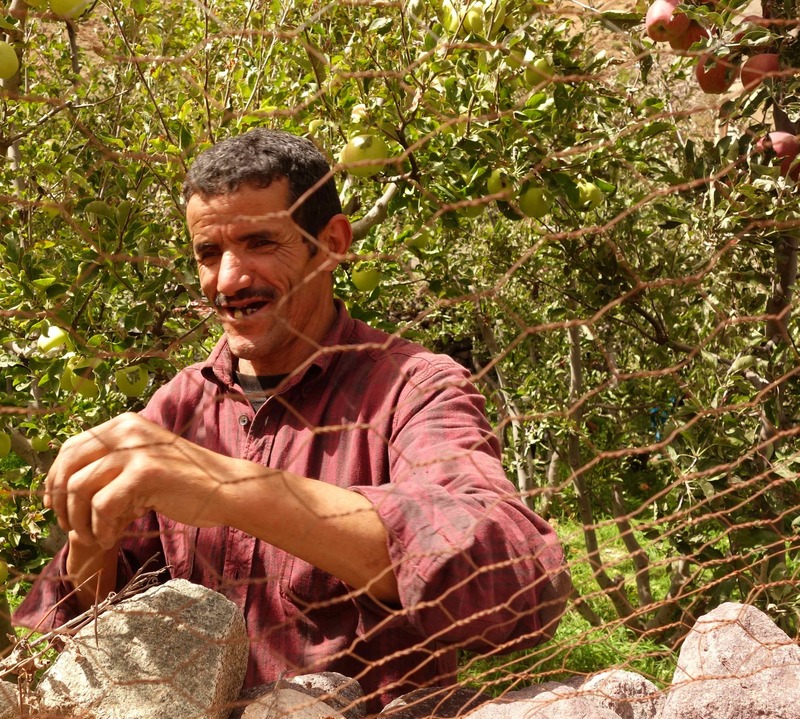 This friendly Berber apple farmer gave us apples on our hike a few days after our trip with Jalil. “The Greeks and Romans called them barbarians, but that was really war propaganda to make them look like monsters,” Jalili further calmed me. 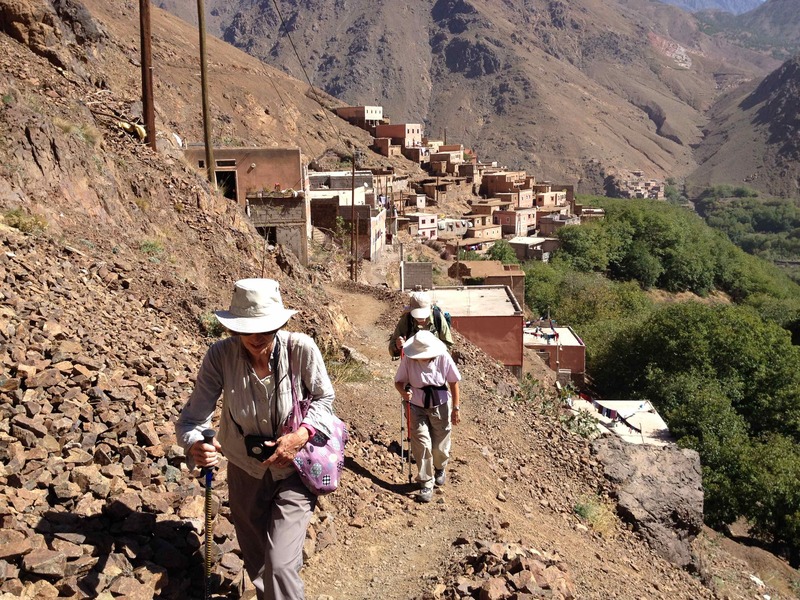 Pathways between Berber villages often look like this. 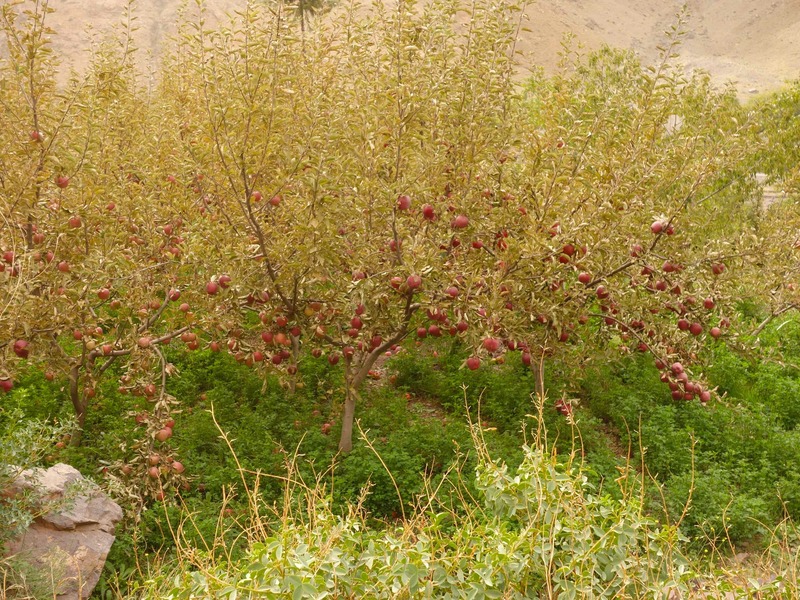 Also, “You’ve come to Berber country at just the right time, in the early fall. Now is the season of the apples and, best of all, the walnuts. Girl, they know how to grow apples here; the orchards smell wonderful! 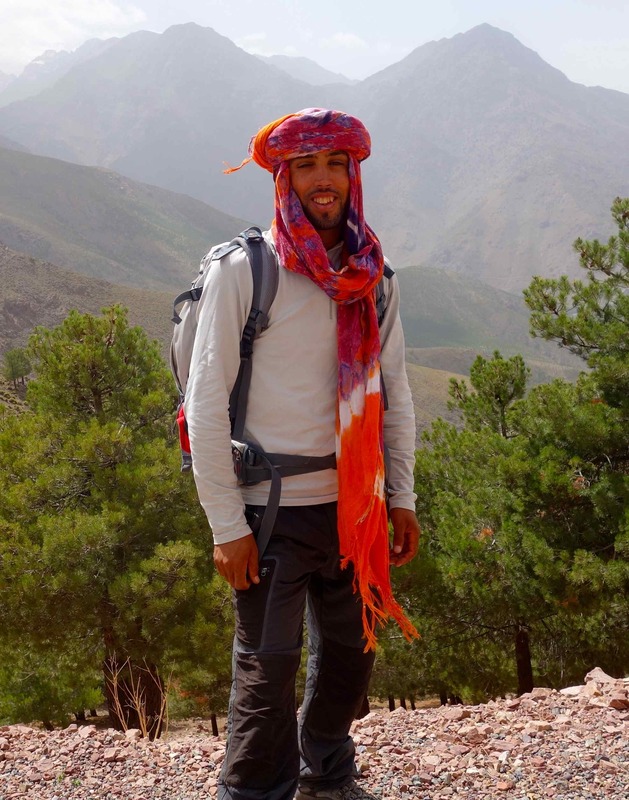 A few days later, our friendly Berber guide, Rashid, did serve us tea. Everyone looked at me like they were waiting for me to say something. “Well?” Papa asked, “Are you ready to go into Berber country now?” I said, “Yes, let’s go, but I’m not calling the people here Berber; I’m going to call them Amazigh…if I can ever learn to pronounce it.” Jalil started the van and off we went to the Berber — I mean, Amazigh — village of Imlil. Well, I’m sorry that Richard Branson and Tom Cruise missed seeing me? I’m sure I would have enjoyed meeting them, but the good news is that I’m going to meet the people who really live here! Our courtyard is breezy, shaded, and, oh, so tranquil. After breakfast my new Moroccan friend, Tagine, gives me a ride back to our room. 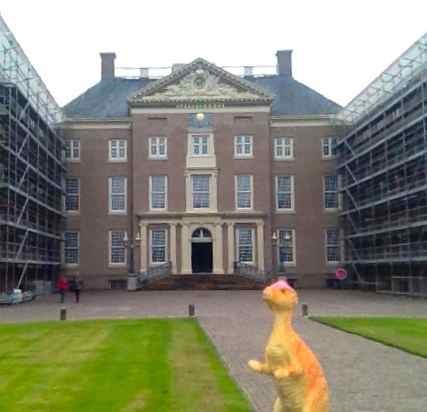 I’m thinking that if the Dutch Royal Family doesn’t have room for me (and how could they not with all their big rooms? ), then maybe Tagine and I could become brother and sister or sister and sister. (I can’t tell if he’s a she or if she’s a he. I don’t care which; s/he is really nice.) 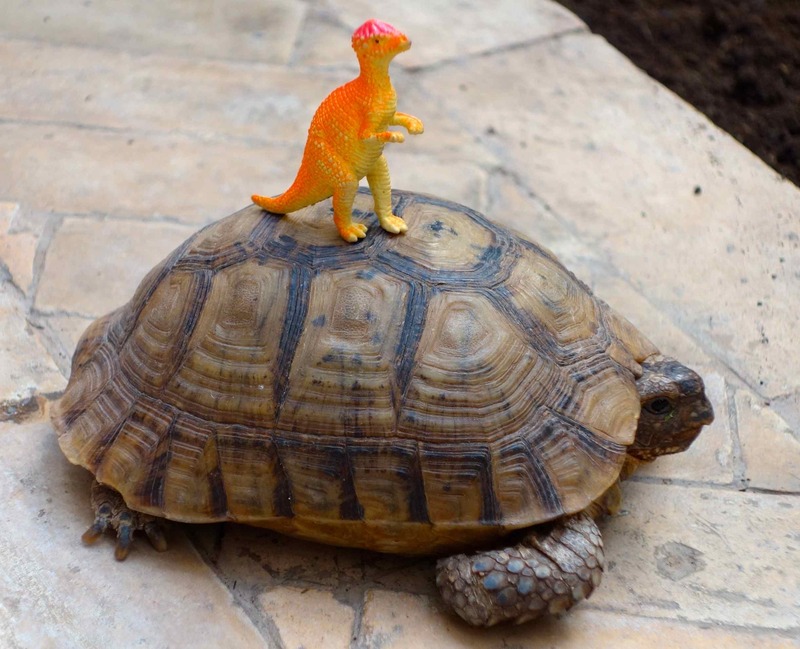 He’s sort of a jurassic too, right? Anyway, I like him, and I think he likes me too, in a brother-sister sort of way. This is a tagine, a Berber cooking pot. 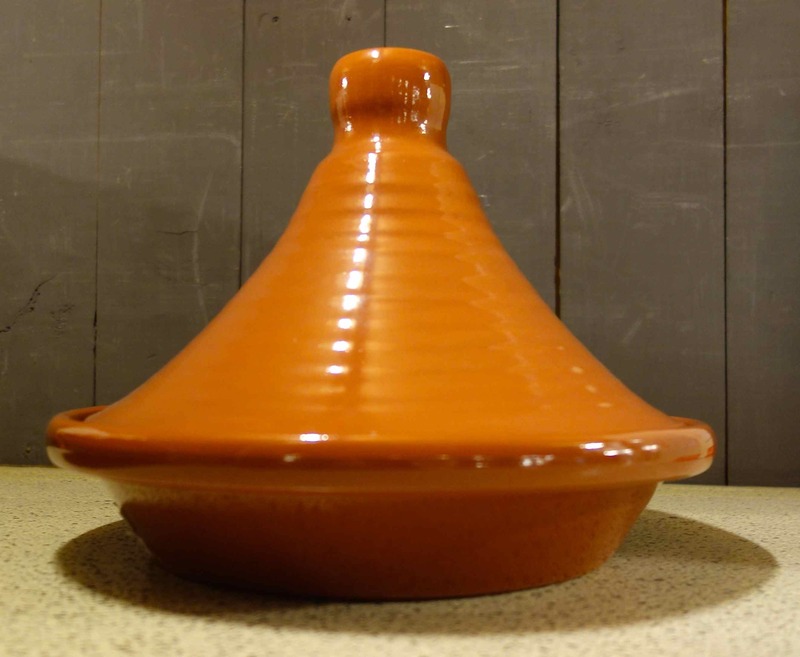 Tagine is named after a type of Berber cooking pot, a tagine, in which they cook almost everything. Nona and Papa seem to like the food here. 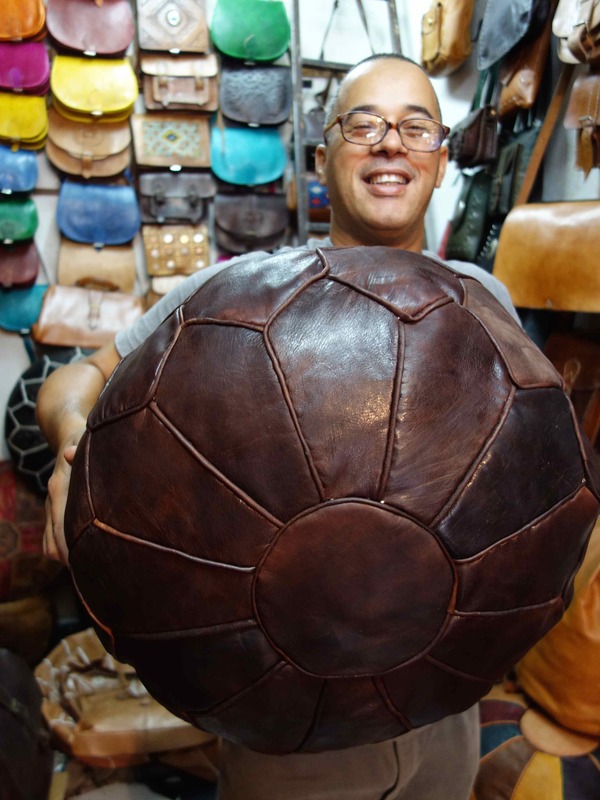 I guess he does look a bit like a tagine, with that shell on top of him, right? When Nona and Papa want to read or write in quiet, they take me up here to the rooftop of our riad. 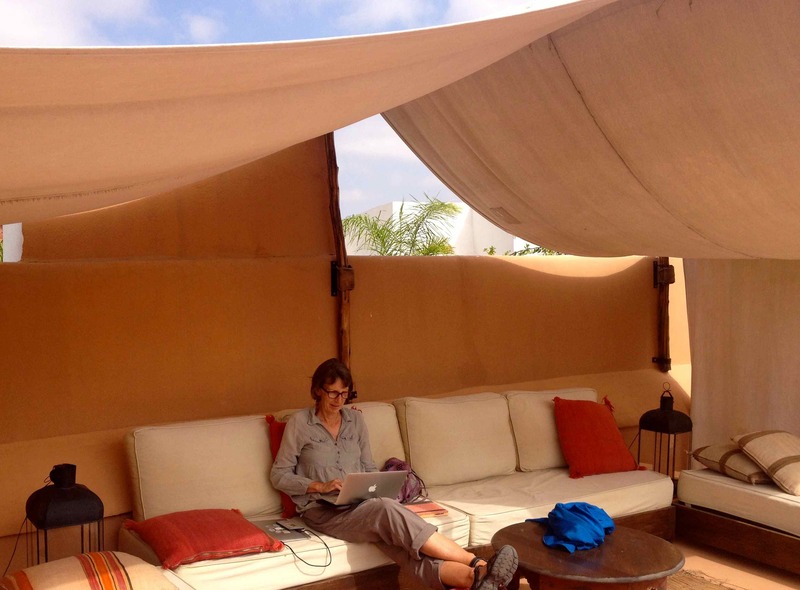 A tent with a couch and pillows and a 360 degree view of the Medina, the old city, on your own rooftop is hard to beat. 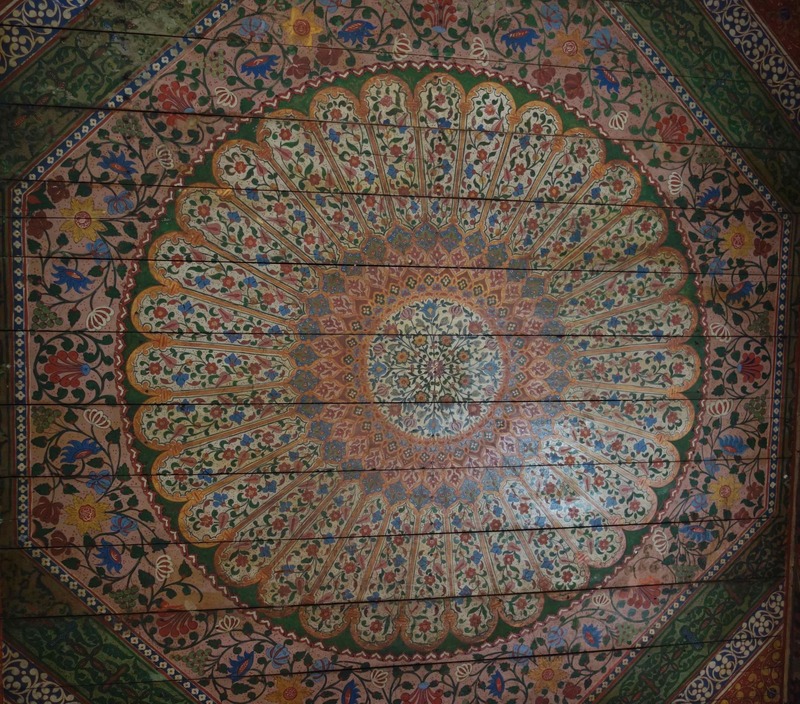 When the day is over, I just lay on our bed and stare at this wonderful painting on our wood ceiling. Imagine painting this on your ceiling, lying on a scaffold and upside down. How long would that take? So, I promised you that I’d tell you about Moroccan Riads, and I hope you agree that I kept my promise. I think I’ll give the Dutch Royal Family until November to give me an answer. If I don’t hear from them by then, I may ask Tagine if I can move in with him (or her). With turtles, I can never tell which it is. Can you? As you know, I’ve become a “seasoned traveler!” That’s what Nona and Papa have told me, anyway. Being a seasoned traveler, I’ve become more aware of “little secrets” that other travelers have. Different travelers have different “secrets” or opinions that they feel really strongly about, but they sort of pretend they don’t until something happens. Then it comes out. Know what John’s secret is? I do. He wants his daily dose of dark chocolate, no matter what country he’s in. Morocco must have bars of dark chocolate, but, I tell you, when John couldn’t find a supply here, he “was not a happy camper,” as Nona likes to say. Then there’s Nona. You know she doesn’t drink tea or coffee, ever. She just doesn’t like the taste of it. 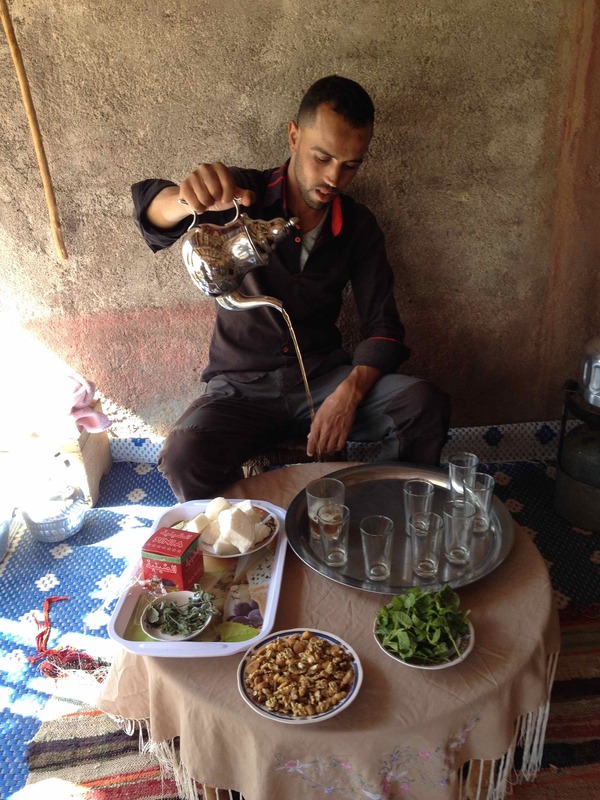 Well, when we were at the home of a very friendly Berber, he served us mint tea. It’s made with Chinese Gunpowder tea mixed with fresh mint. It really smells good. Well, Nona couldn’t refuse it, but, when our host wasn’t looking, she took a few polite sips and quickly switched her almost full glass with Papa’s empty glass of tea! Yeah, I saw her do it. Papa didn’t tell on her though. He was happy to have her glass of tea too. Then there’s Papa. 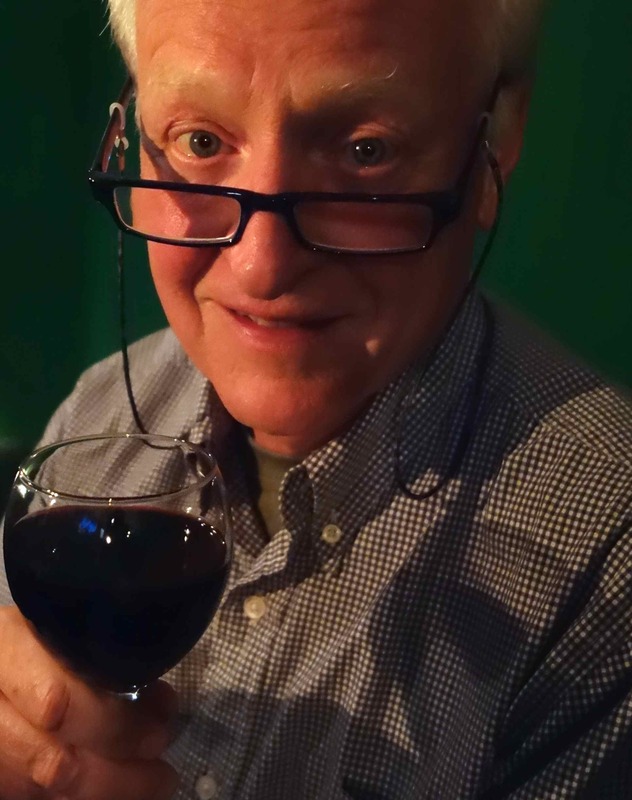 You know he always wants his “special” glass of red grape juice with his supper. That’s not always available here in Morocco. It’s an Islamic culture here, and, for some reason, they don’t usually serve that kind of grape juice. I don’t know why. I see Papa looking around restaurants here to see if other tables have any of that grape juice, but he doesn’t talk about it. Well, Angela found just the pouf that she wanted. She asked the shop owner, “How much?” He told her a price. At that point, here in Morocco, you’re supposed to bargain. Right? You don’t agree to pay the full price. John and Nona know all about the proper way to bargain prices in the market here, and they thought Angela and Papa did too. But Angela and Papa were aghast (cool word, huh? Nona taught it to me). They didn’t know that you’re supposed to offer to pay just about one third of the price you are given. Then the shop owner will, maybe, say no, he has to have at least two thirds of the price. Then you are supposed to say no, you can only pay less. This bargaining goes back and forth until you finally agree to pay maybe half or a little more than half the original price. You’re happy, and the shop owner is happy. Well, John jumped in and began to bargain. That’s when Angela “joined forces” with the shop owner to insist on the full price. The poor shop owner didn’t know what to do! He finally bargained with John, while Angela worried she wouldn’t get her pouf. They agreed on a good price for her very nice pouf. Everyone was happy. That pretty much describes our experience here in Morocco. Everyone is happy. What about my “secret?” Well, if I told you, it wouldn’t be a secret, would it? Hi, Girl, do they have a lot of stuff to sell here in Marrakech! We’re back from the souk. I’d been to a souk already. Yeah, in Istanbul. Shops bunched up together, things for sale tumbling out of the little booths onto the walkways. People yelling at each other in French, Berber, and Arabic — sometimes even in English, German, Spanish, or Dutch. Gosh, a lot of languages are spoken here. You can find everything from snake charmers to fine art here in Jama el Fna, the big market. Hey, do you like donkeys. Hee Haw! Me, too! Look at this. I saw so many donkey carts! One almost ran over Nona and me! Yeah, these donkey carts bring things to sell to the souk and then go home empty like this one. What’s a souk? It’s an Arab open air market. Here’s a photo of me looking down into the big market. It’s considered impolite to take photos of people here so we had to take this at a distance to be polite. The big souk, Jema el-Fnaa, opens in the late morning, but they really get going when the sun goes down. 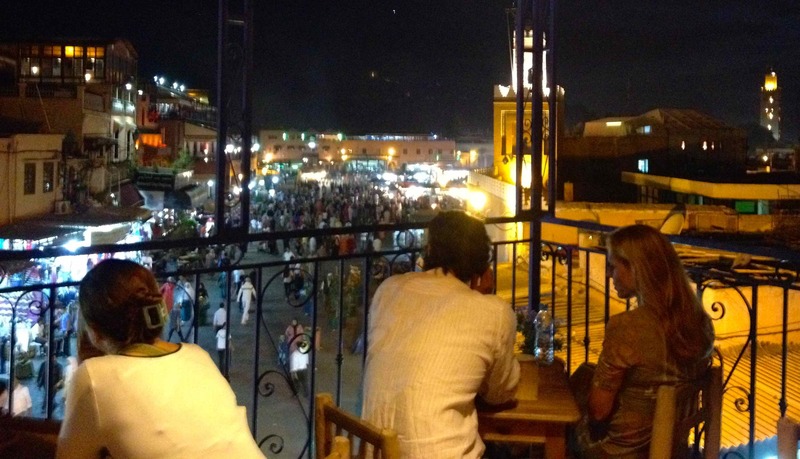 I like the souk at night, when we ate on a rooftop at Kafe Kessabine and could look down on the crowd. Then swarms of people walk around, stop for coffee or tea, meet neighbors and talk, and, of course, haggle over prices with shop keepers. In the daytime, you see lots of pigeons clean up and also getting fed bread by people. 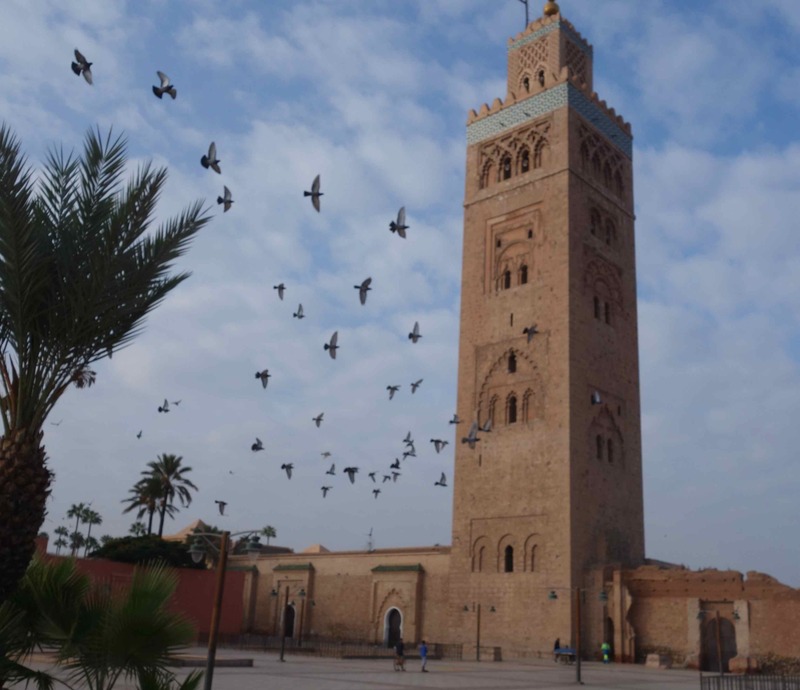 This 12th Century Mosque, Koutoubia Mosque, is near the big souk and we saw it everyday. Even though everything is sold at the souk, Nona and Papa just looked and didn’t buy anything — you know, like they always do. Oh, I forgot to tell you, if you go to a souk, you need to keep your money and cell phone in a zipper pocket or inside your blouse. Know why? Pick pockets. Nona says they’re “opportunists.” New word for me! “If you give them an opportunity to take your money, they will,” she said. 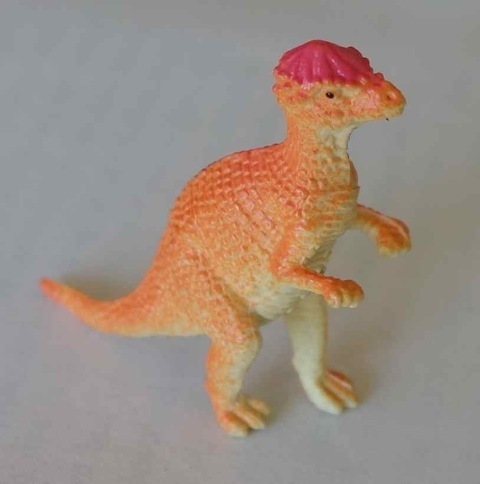 That scared me a bit, and I said, “Nona, please don’t give them an opportunity to take me!” She assured me that pick pockets just want money, cameras, and jewelry, but not plastic jurassics. Whew! After that, I could really enjoy moving through the swarm of people. 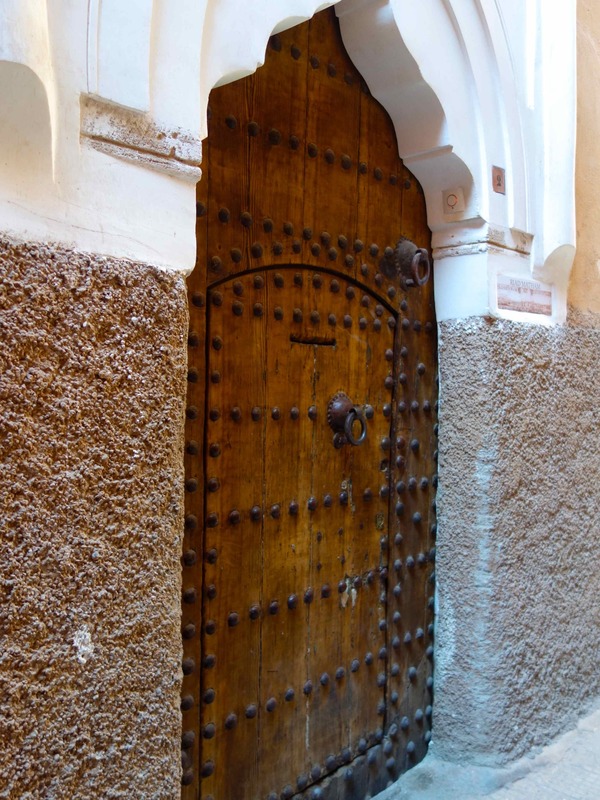 I think that my favorite memories of Marrakech may be the doors. The doors of places on our walk to and from the souk were so pretty. 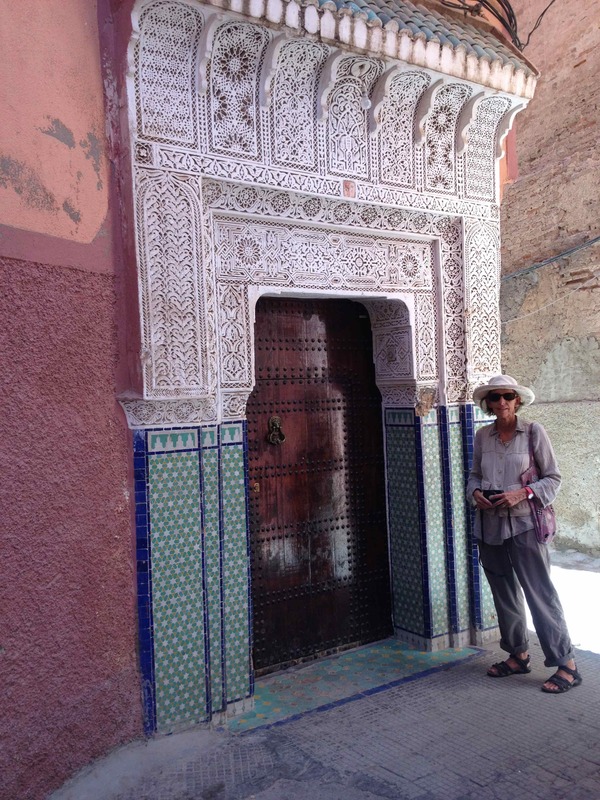 Papa took this of Nona by a typical door on our walk home from the souk. You just gotta come here to see the doors! No kidding! Oh, no, we’re going to bed now, and I haven’t gotten to tell you about our riad. Next time, OK. I promise. Do you know we’ve gone around the world for almost two years, and this trip to Morocco is our first with serious delays and problems? It wasn’t just Nona and Papa having problems. For a moment, when I was in Nona’s purse at the Casablanca airport, I heard many people shouting loudly in French and in Arabic. Wow, were they angry at the airline crew in Casablanca! Nona feared that someone was going to get hurt. Literally a hundred or more of us passengers had been bumped from flights and faced hours of waiting for a next flight. Well, that’s the bad news. Our Riad Matham in Marrakech is the good news. A riad is a special kind of guesthouse. We didn’t get there until almost 2 AM in the morning. 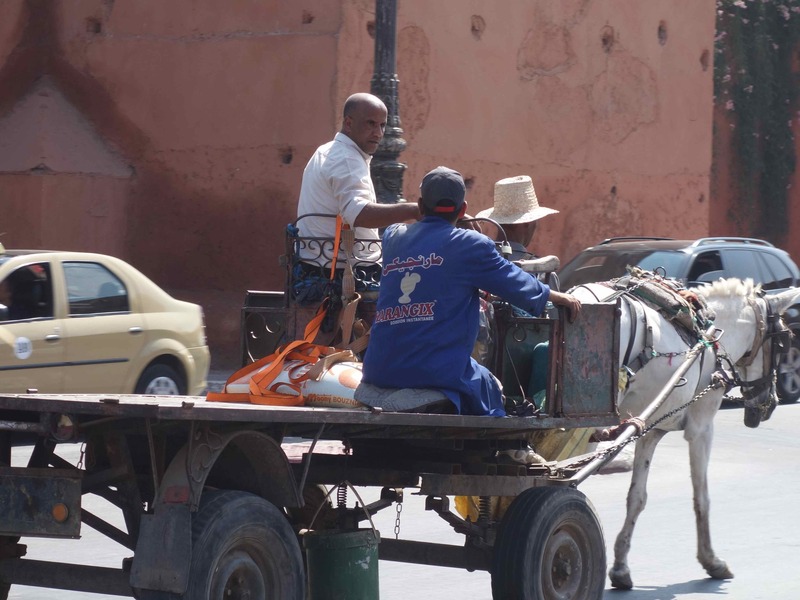 The streets to our riad were so narrow, that our taxi had to park many blocks away. 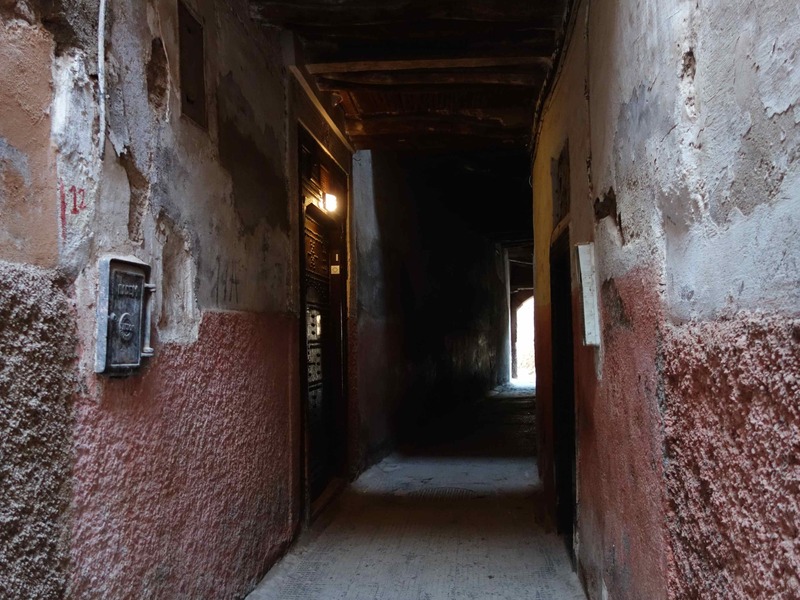 Our riad host met us there and guided us, pulling luggage, through the dark, narrow, winding streets to Riad Matham. Just imagine walking with luggage here at night! Our first night walking in those narrow Marrakech alleyways looked dangerous to me, but Nona and Papa followed our host, François. Turns out it is safe and just looks scary to people like us from the US. Papa says, “Don’t let fear guide your life, Solbit.” I’m beginning to see what he means. You’ll see too when we get through this door to the riad. The riad door opens to another world. 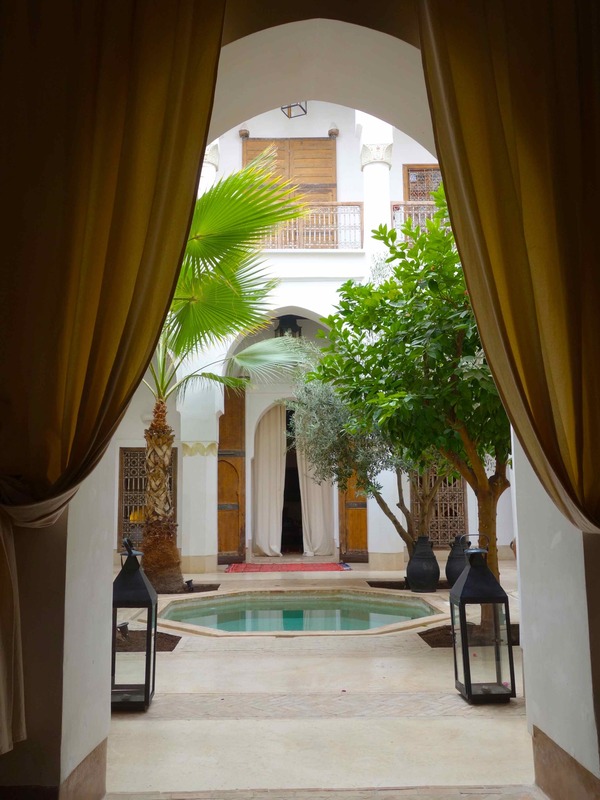 When Francois opened the door to the riad, we stepped into a different world of tranquil comfort. 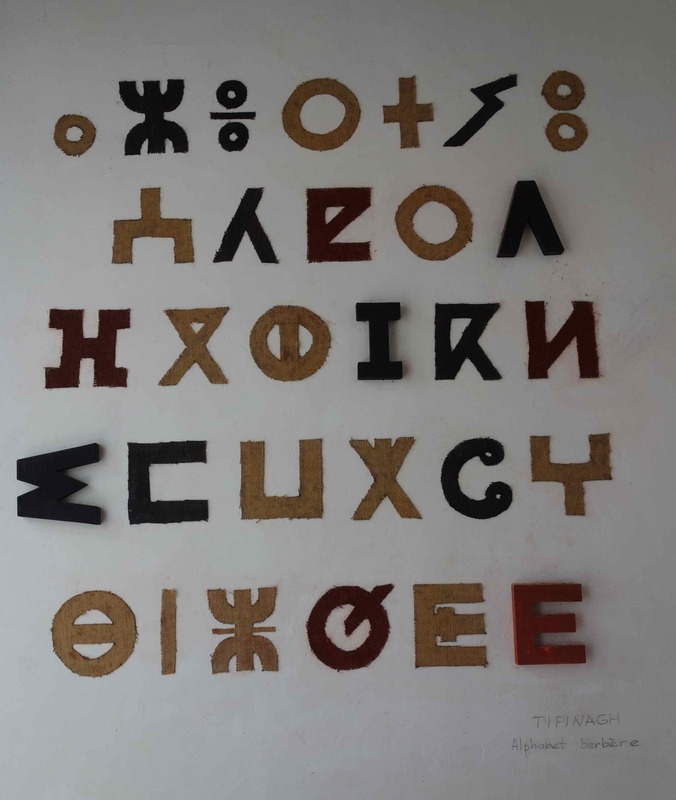 The first thing we saw was a beautiful presentation on the white wall of the Berber alphabet. Did you know the Berber people had an alphabet long before many other people did? It just got better after that. 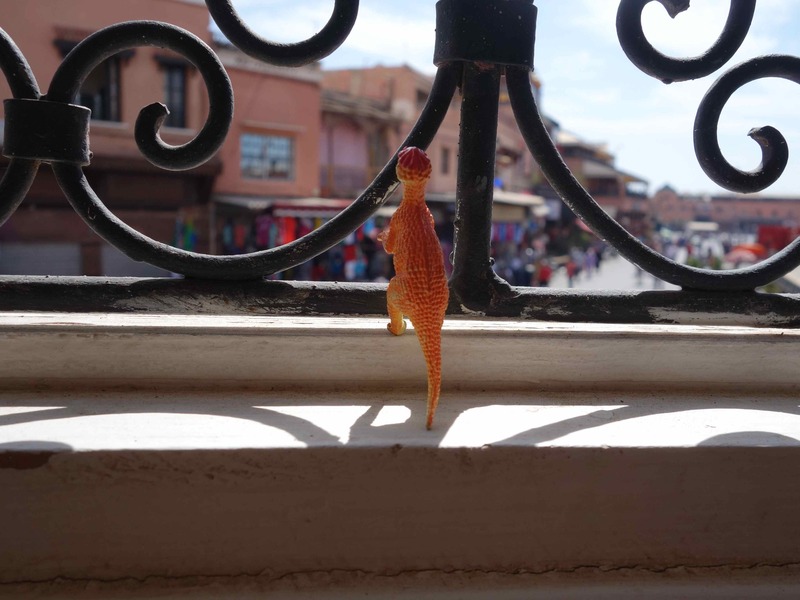 Hey, we’re leaving for the souk now, so I’ll tell you more about our riad later. What’s a souk? I’ll have to tell you about those later, too. Until then, remember: don’t go through the Casablanca airport and avoid Royal Air Maroc. Bye. Ever hear that song, “Hang on Snoopy, Hang On!”? That’s what I was “singing” to my self, “Hang on Solbit, Hang On!” when Nona and Papa went for a bike ride along the canal here in Apeldoorn. I felt like I’d fall off or the wind would push me off and onto the road. 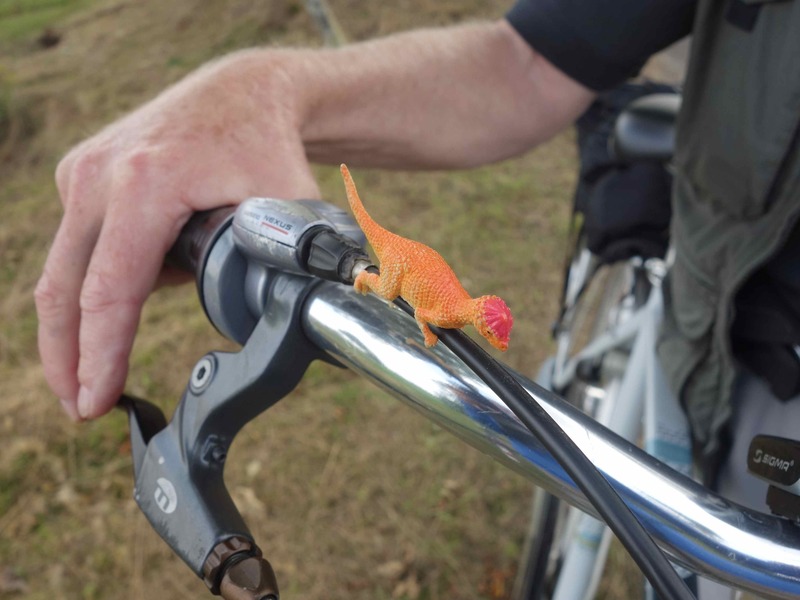 Papa had said, “Let’s take Solbit out of your purse, Nona, and let her ride outside.” He put me on the brake cable, and I hung on for dear life. I had to look sideways and couldn’t see what was coming. Papa stopped. Then we tried a new position, with me looking forward. This way of riding the bike felt ever so much safer, AND I could really see what was coming. That worked much better. I got used to the wind in my face and liked it. I know some people think riding bikes in the Netherlands is scary, but, trust me, it can be very pleasant. Like this. 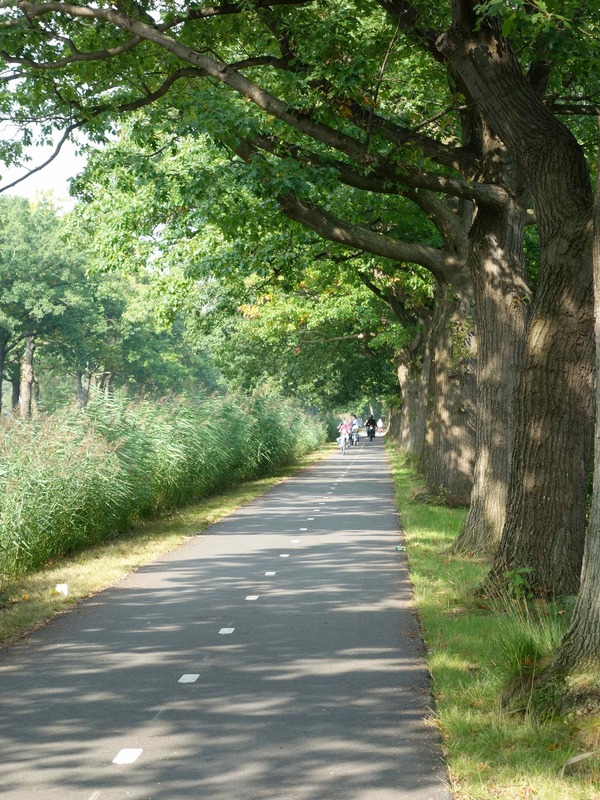 The bike paths here in the Netherlands go everywhere, from town centers to lovely tree -lined lanes. 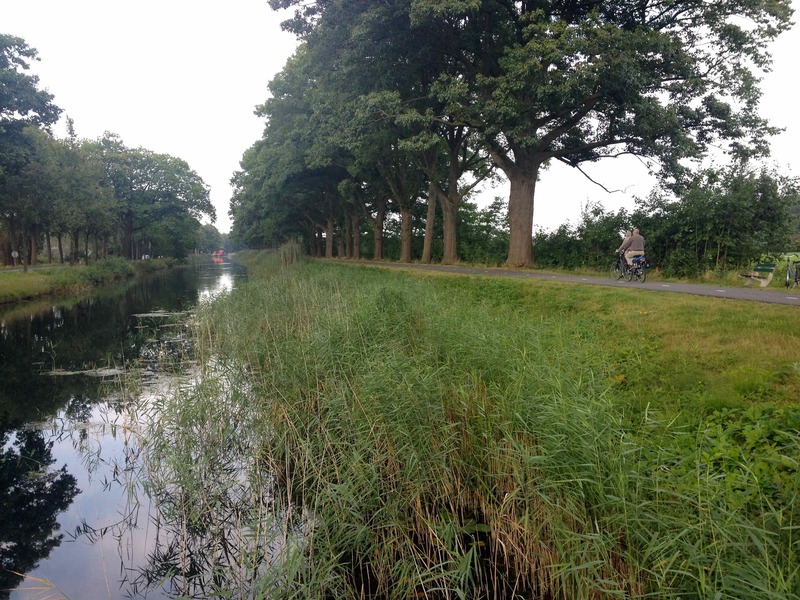 How many places can you go to and enjoy both a tranquil canal and a pleasant bike path at the same time? 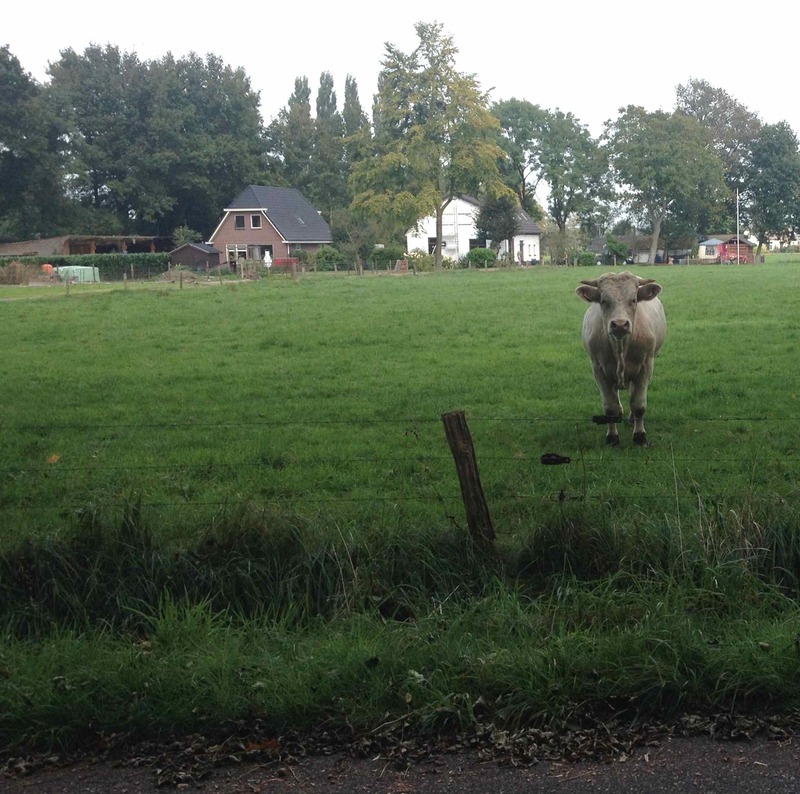 This cow, like most Dutch people, understood both English and Dutch! So we had a chat. 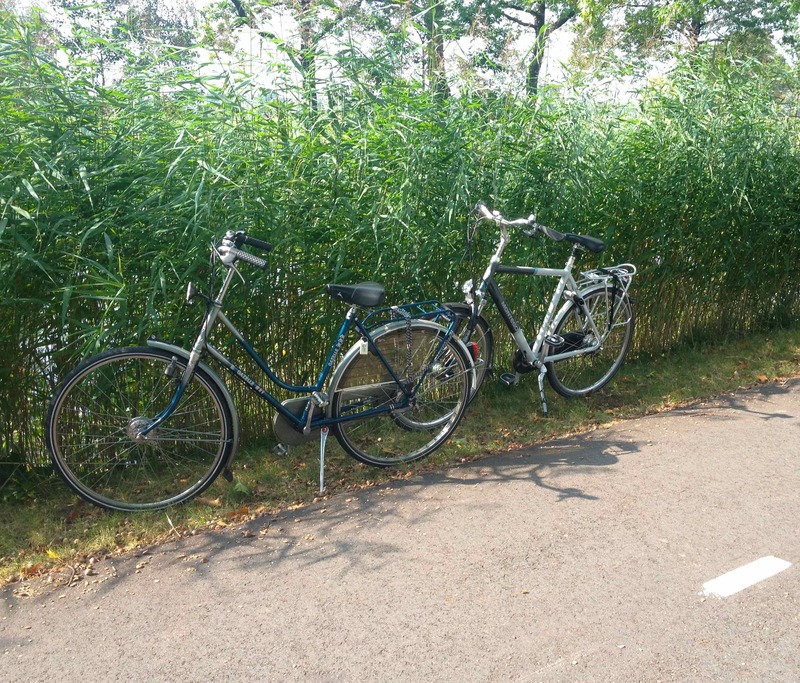 We had biked only 15 or 20 minutes from the town of Apeldoorn, and already we saw cows in pastures! We stopped to chat and parked our bikes. That’s something that had not occurred to me. What an interesting question. 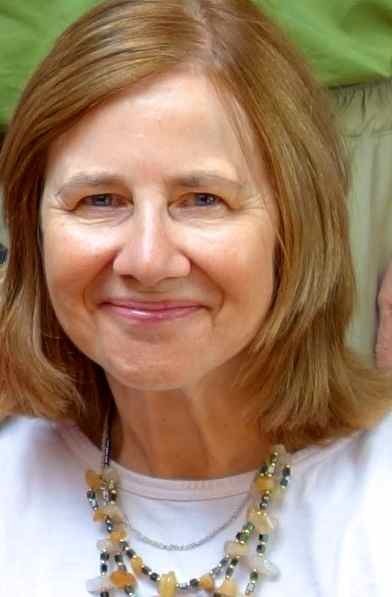 Could I have an aunt who is a bird? I don’t think so, because, truth is, I’m just a piece of molded plastic, but I didn’t tell the cows that. 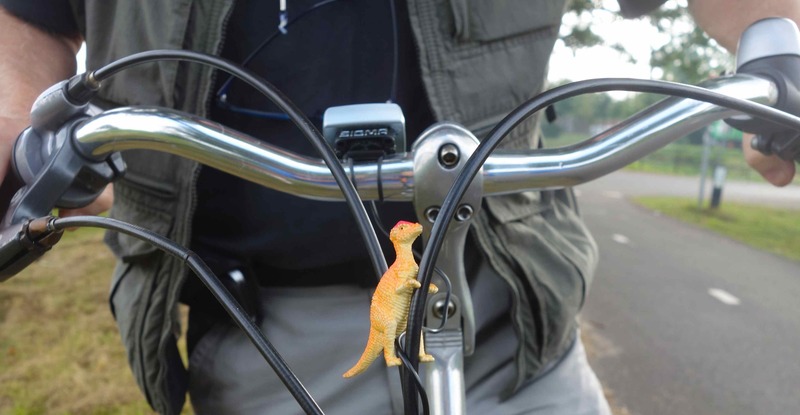 I want them to be able to tell their story of how they once met a bike-riding dinosaur. Why spoil their story, right? You know that I love you and the family, but I’m ready to make a move. I want to become a member of the royal family here in the Netherlands. Look what the Dutch royal kids get to do. Isn’t this a cool car? 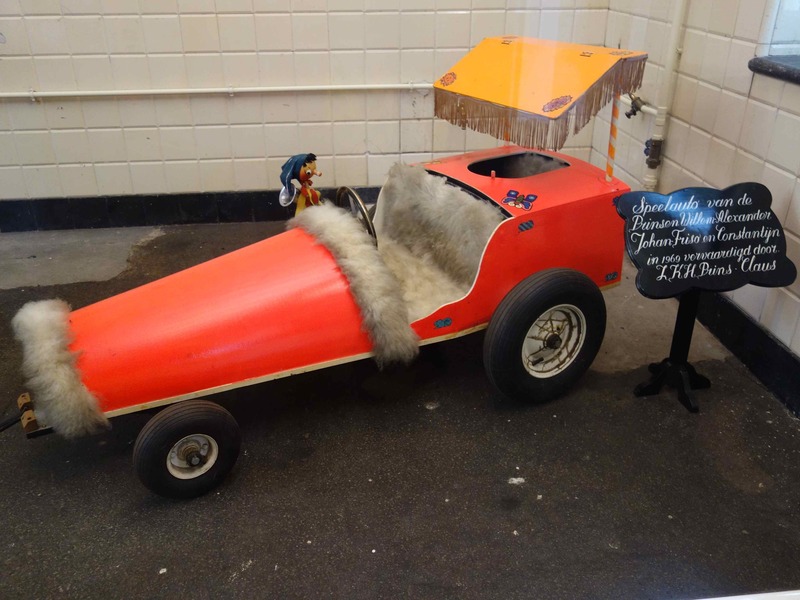 The royal children get to drive this car. How good is that?! 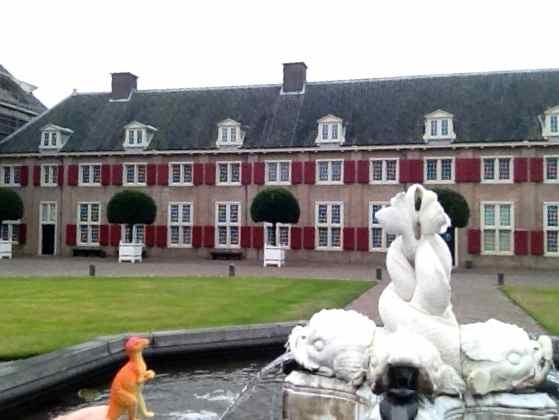 This is an old stable and carriage house of the Dutch royal family. 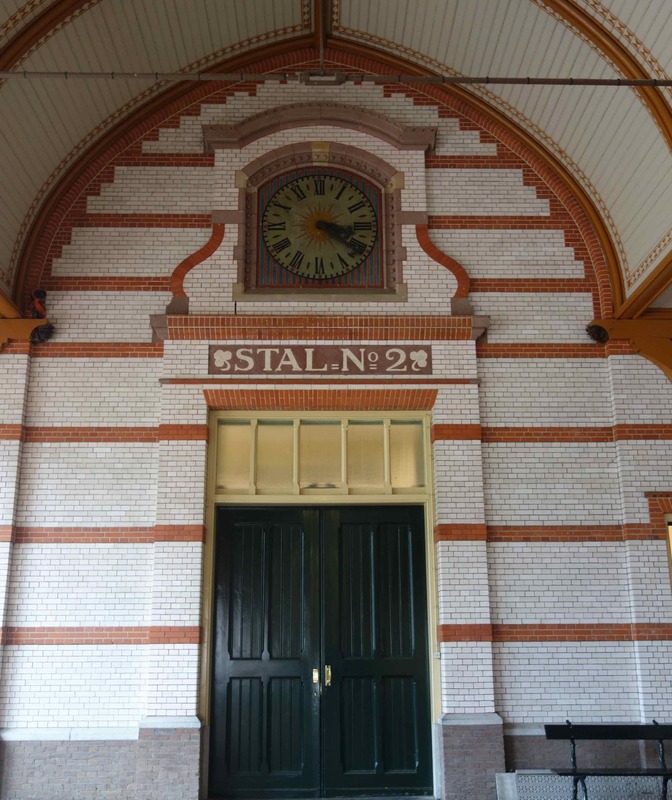 They show up, and you take them into this “garage” at the Paleis Het Loo. Amazing, huh? Yeah, it looks so big, you would think it was their palace, but, no, this building is for their horses, buggies, and cars. Now, this is where they lived. I can hardly ‘bear” to show you my next photo. I took this inside that royal palace. I don’t think people should go around shooting bears and then walking on them like a rug. Do you? 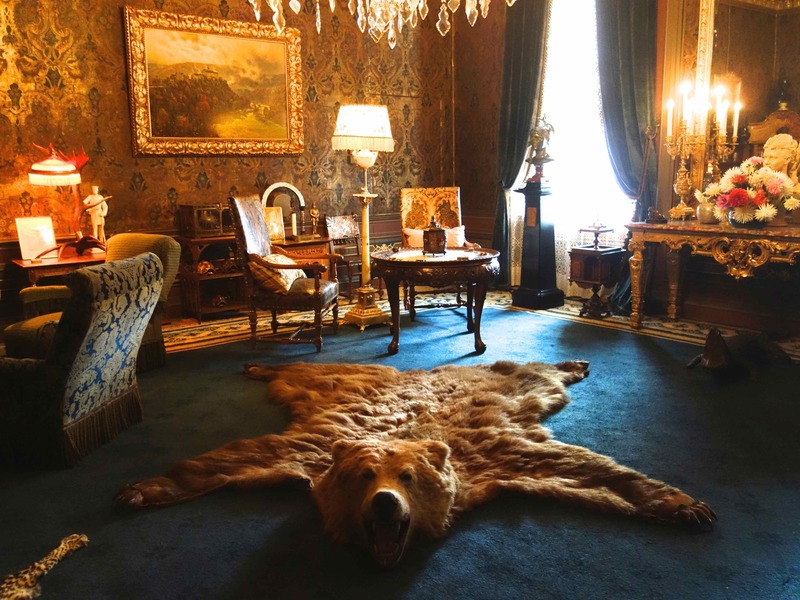 If I were to become a royal, I’d do something respectful with that bear rug. Now here’s the right way to show off animals, if you ask me. Instead of killing them and laying them on the floor, you make a sculpture of them, create what Nona calls “a water feature.” (Papa said, “Water feature smeacher. It’s a fountain.”) Then you live and let live, while enjoying the outdoor art. Maybe you know what “smeacher” means. If you do, please let me know what it is. Papa’s too grumpy to ask. Nona told me he’ll be OK once he has his nap. Golly, 69 and he’s still taking naps? Do you even take naps anymore. I sure don’t. Too much to do in a day, right? Bye.